Sarah focuses the majority of her practice on business law and estate planning. 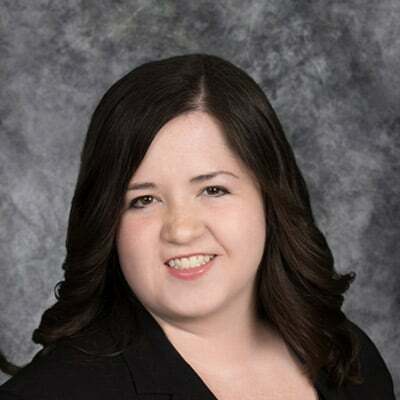 Originally from the Fox Cities, Sarah decided to return to the area after she received her Bachelor of Arts from the University of Wisconsin-Stevens Point and later received her Juris Doctorate from Valparaiso University. While enrolled at Valparaiso, Sarah was certified to work in the Mediation clinic where she used the full circle view to mediate small claims. Sarah continues to use this experience as she looks at projects from all perspectives. Also while at Valparaiso, Sarah was a teacher’s assistant for Legal Writing and Legal Advocacy. Sarah brings her love for teaching to meeting with clients and helping them engage with new information. Why combine business law and estate planning into your practice? When one thinks about the basic purpose of business law and estate planning, there are similarities between the two types. One major similarity is that both types of law involve the protection of assets. Due to the fact that they are both protecting assets, I gain a unique prospective that I can pass along to my clients that they would not receive at another firm, where those areas are kept separate. Why did you return to the Fox Cities? My home has always been in the Fox Cities. I am glad I am finally able to contribute to an ever-evolving community that helped foster me into the person I am today. The Fox Cities is growing and changing constantly and I am excited to be a contributing member of that growth and change.